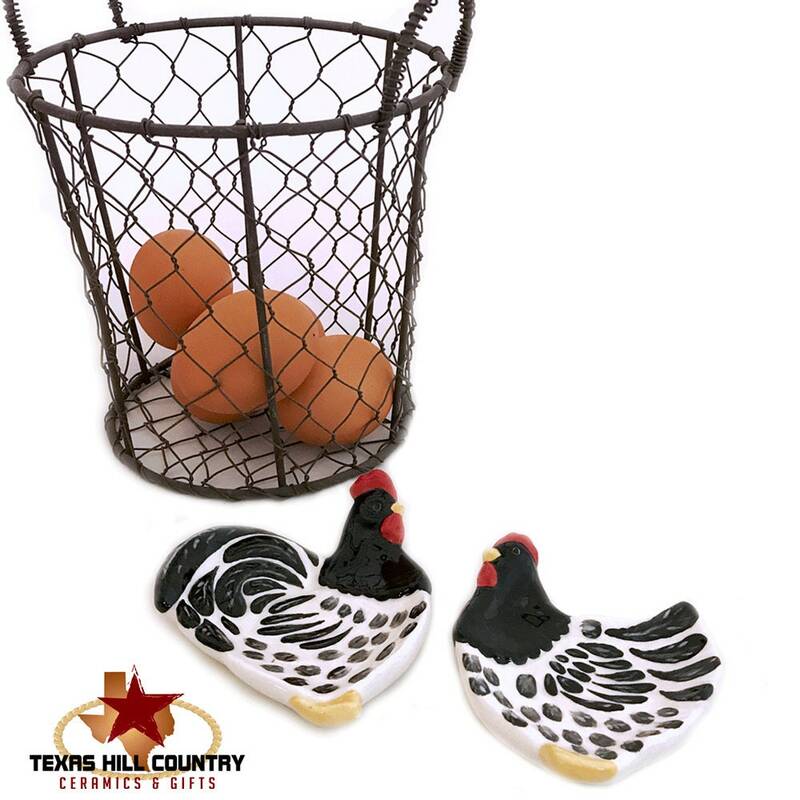 This Hen and Rooster set is designed to be used as a Tea Bag Holder, Small spoon rest or catch all or dish. 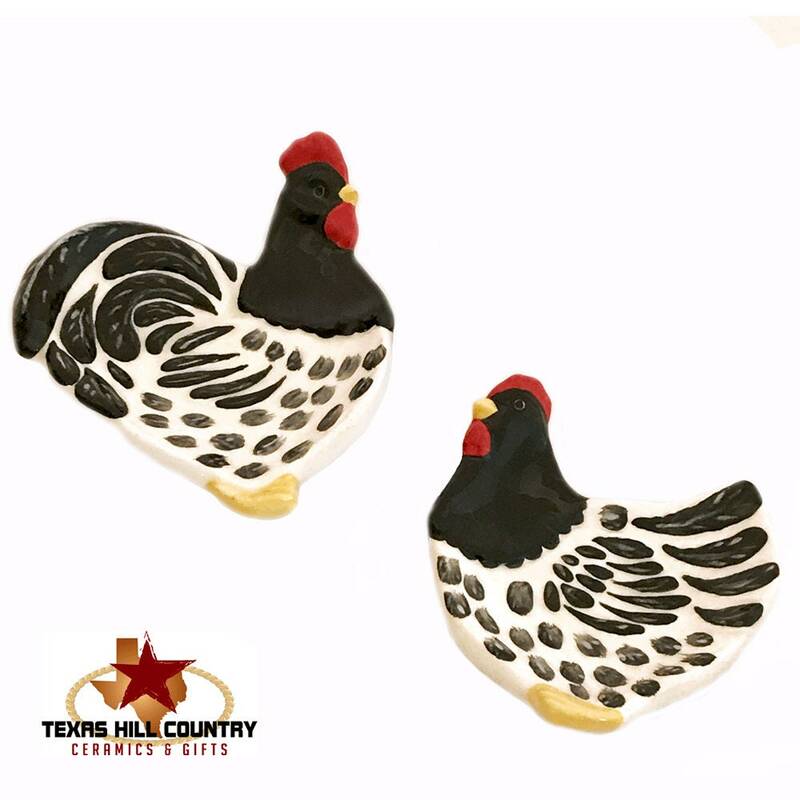 These fine feathered friends are finished with black folk art feather detail, the combs are red and the feet and beak are golden yellow. 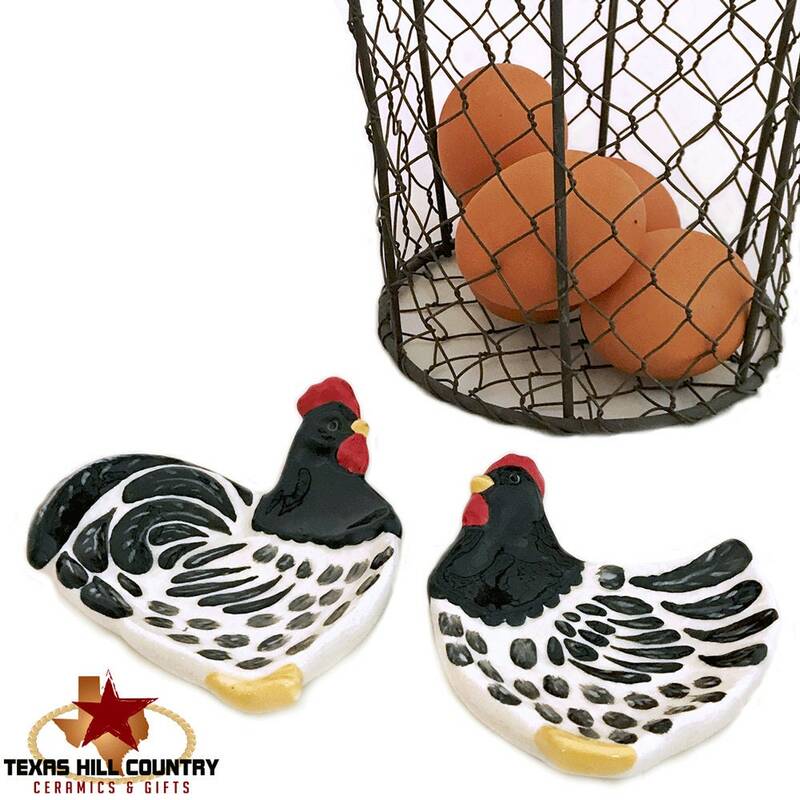 Great for any country kitchen with shiplap walls. 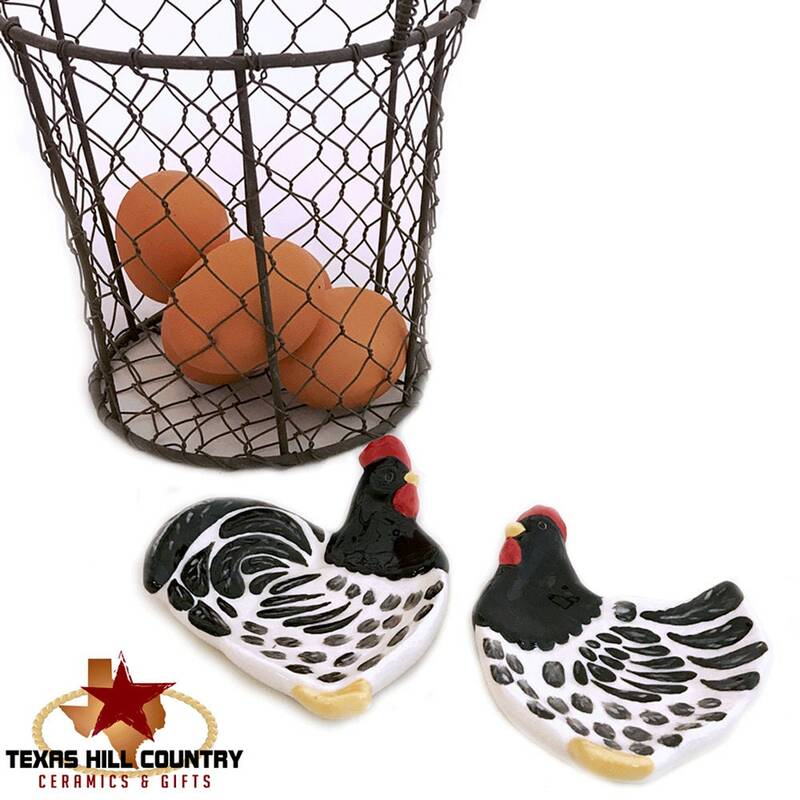 The set of hen and rooster is made of slip cast from a plaster mold for uniformity and kiln fired. During the finishing process I use many techniques and non toxic products to achieve the final piece you see. 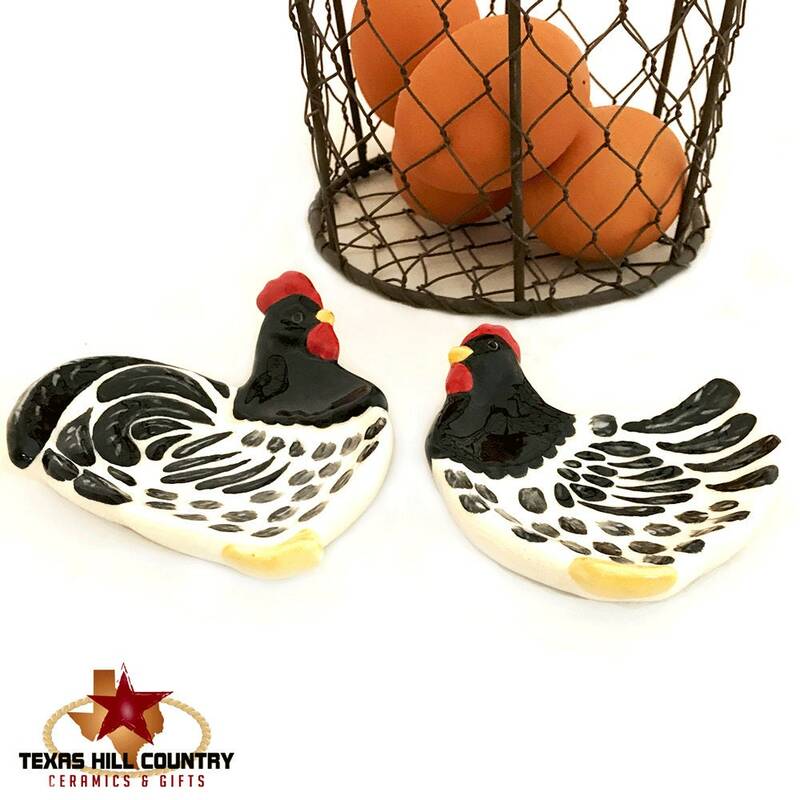 The underglaze and glaze used to finish the set makes them dishwasher safe and the colors or design will not wash off, fade or peel. The glaze is lead free. Cast solid for added durability. 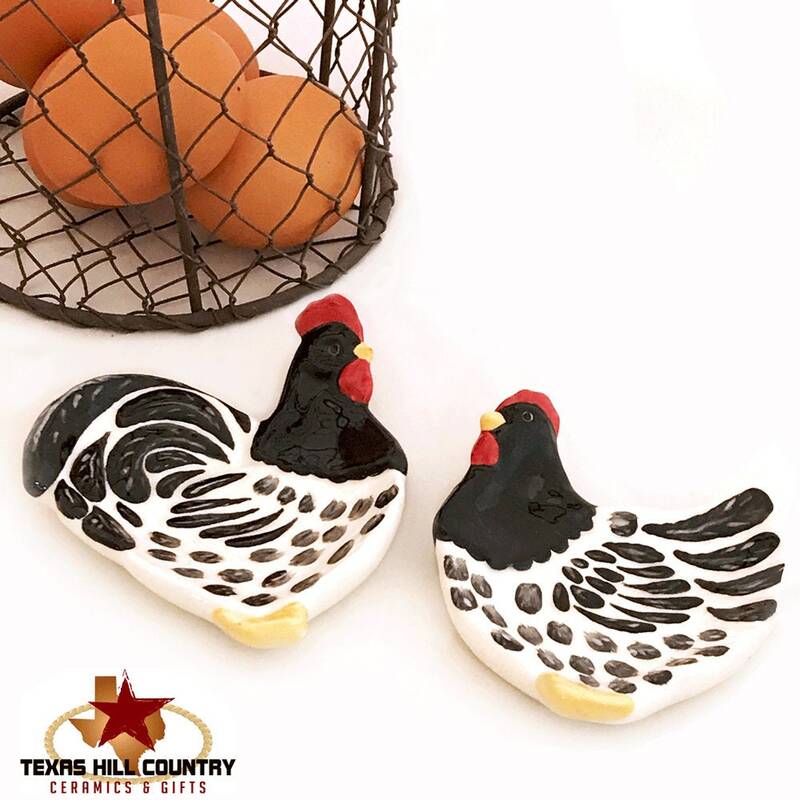 Please keep in mind each one is hand painted and has its own individual characteristics, the set you receive may vary slightly from the set in the photo.